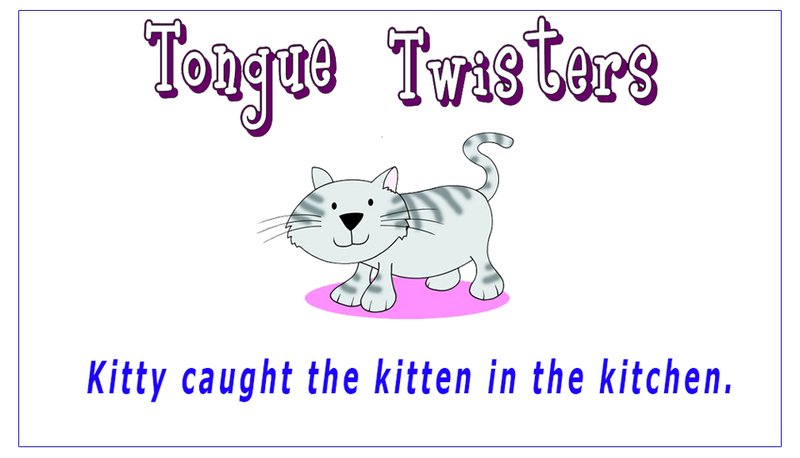 A tongue twister is a group of words that is difficult to pronounce correctly and quickly. It’s a great way to practice and improve pronunciation and fluency. Below I have collected some of the most popular English tongue twisters for ESL learners, practice and say them as quickly as you can in order to be a more confident speaker. It would chuck all the wood that a woodchuck could if a woodchuck could chuck wood. The thirty three thieves thought that they thrilled throne throughout Thursday. Greek grapes, greek grapes, greek grapes. I can think of six thin things, but I can think of six thick things too. Very well, very well, very well. I’ll chew and chew until my jaws drop.